The Thanksgiving Wine Report with Robin Watts! This time of year there is a golden quality to the light that I just love. I always associate it with the end of Fall, even if winter is still a few weeks away. It reminds me of gilded tables and pies and the anticipation of family gatherings. Thanksgiving is this week and as you plan your final meal details, let’s help you check off which wines to get. 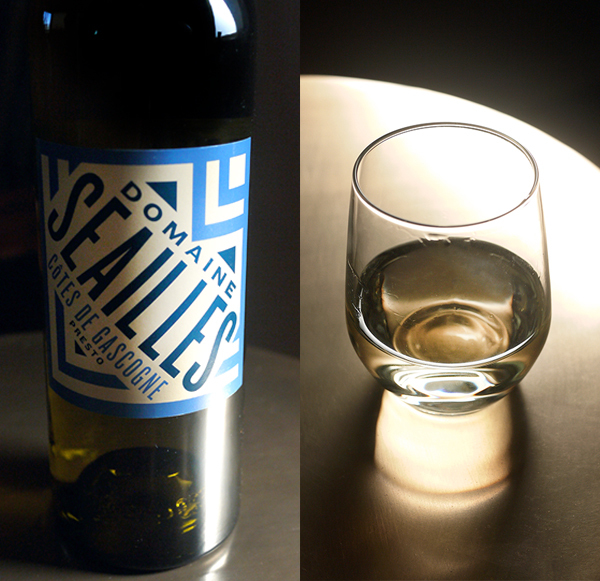 Robin Watts is back with your wine picks for this week’s feast of feasts. 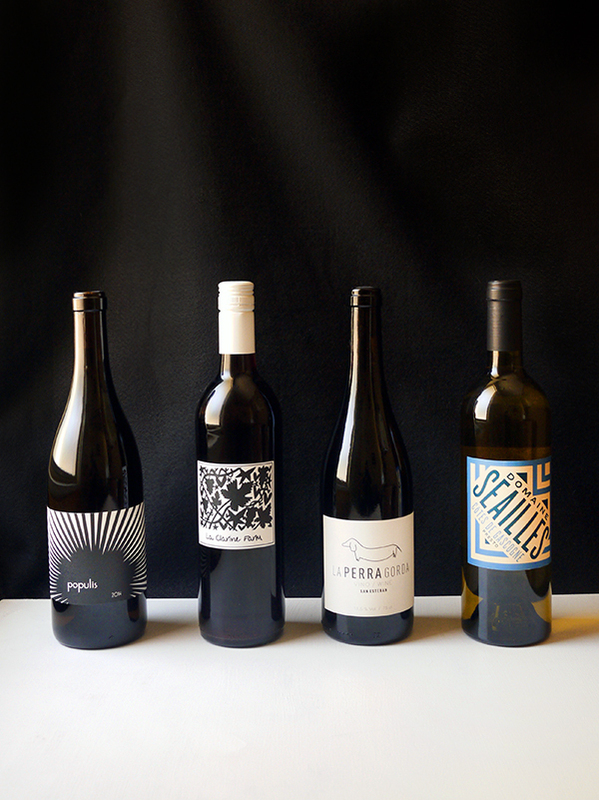 If you’re looking for not only some tasty wines, but some BOLD graphic bottles to grace your table… here you go. Thanksgiving is coming and that means another opportunity for drinking! Y’know, among other things. My favorite holiday, and meal, of the year can bring as much excitement as it can anxiety. One thing I’ve always found at large group meal functions is that finding a wine everyone can agree on is near impossible. There is always the one person who ONLY drinks this or the other guy who NEVER drinks that. This is why I’ve tried to pick four wines that at least offer something unique enough that they will appeal to someone and maybe even convert a few skeptics. Coming from just outside Napa this fuller bodied white is great for Chardonnay drinkers and non Chardonnay drinkers alike. Roughly 75% Chardonnay to 25% Colombard this wine stays big but with a brighter more crisp and refreshing acidity than just your average California Chardonnay. Done in neutral oak it isn’t big and oaky but rather heavier on the melon notes and honey notes that are quickly followed by something much more interesting. This is why I love it. Its kind of funky. Those bright notes are quickly followed by more savory flavors. Artichoke, Brussels sprouts, damp hay, hint of pear, and in all honesty, fried chicken. I was initially caught off guard by this wine and couldn’t stop drinking it because each sip revealed something unexpected. It was like having a savory sorbet. Any “sweetness” that you get is like that from caramelized onions rather than juicy fruit. This wine is great with food but can easily be enjoyed before anything substantial is finished cooking. This is another great versatile wine that I think acts as a great transition from white to red. 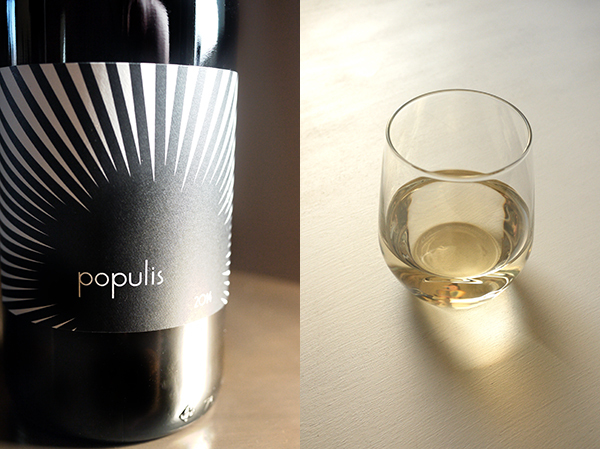 While predominately Mourvedre and Grenache this wine is 14% Marsanne with a smidge of Fiano and Arneis thrown in. Red AND white. 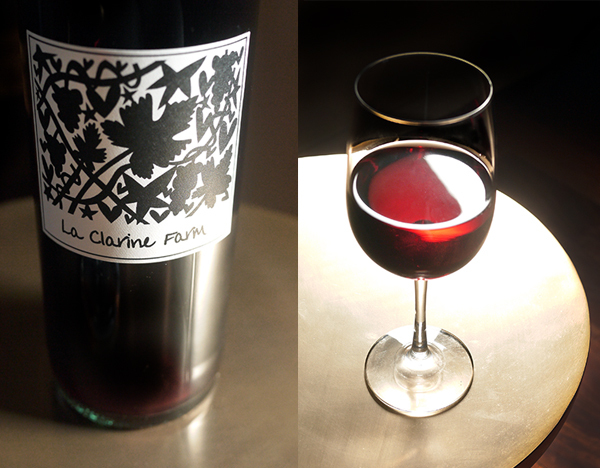 This wine drinks like a rose’s juicy baritone cousin. Think berries but smokey berries. This isn’t to say that the 48% Mourvedre doesn’t provide fantastic structure and soft tannins. You’ll find that out on the finish which is why I think this wine could appeal to people who say they like only reds and people who say they don’t like tannic wine. It is a softer tannic finish than, say, a Cabernet Sauvignon, think more like that of a Nebiolo. (Note: this doesn’t taste like a Nebbiolo!) If you find yourself enjoying Rhone blends maybe have a glass of this first. This is great wine to serve to people who may not know what they want. A versatile crowd pleaser that drinks well chilled or at room temperature this wine could be a great red for those afraid to leave the easy drinking safety of their whites. Just so we aren’t exclusively drinking domestic wines I think Spain is a great consideration for this fall. Less prestige than that associated with French, and to a certain extent Italian wines, with Spanish wine there are some real bargains to be had. This is a great example. 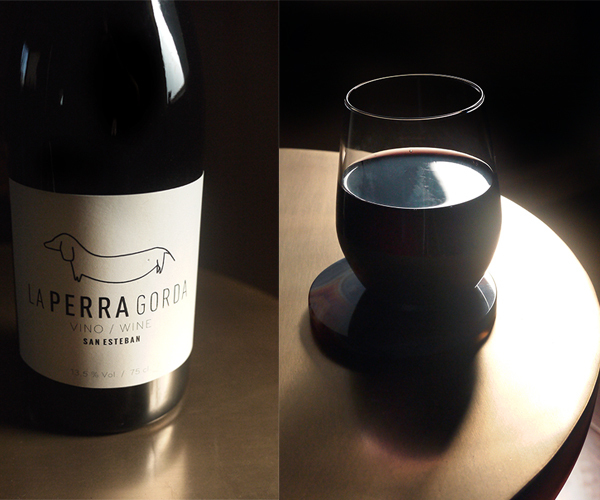 At $15 this wine drinks like a much more expensive and impressive wine. While this is the biggest wine of the group, this inky curious blend of grapes gives you all the leather, black currant, and white pepper you’d want from a bigger wine but does it with a lighter softer touch. Incredibly dry finishing these grippy tannins are preceded by a soft round mouthfeel. A great red for your “I only drink red wine” guests on Thanksgiving that won’t overshadow or overpower any dish on the table. As an added bonus on the conversation starter front, the name of this wine has at least one translation that, given the working knowledge of Spanish many Americans have, can seem a little cheeky and fun on a holiday centered around eating. Years of waiting tables and bar tending has taught me that people love to drink wine but don’t necessarily love to be bogged down by knowing more than a few varietals. White drinkers, more often than not, automatically ask for one of three varietals with sauvignon blanc leading the pack. Why not serve a wine that satisfies that crisp, clean, bright white craving but exceeds the expectations of your casual sauvignon blanc drinker? This 50/50 sauvignon blanc/sauvignon gris gives you that great melon and white peach flavor on the front end with subtler notes of lime, lemongrass, and green apple on the back end. This is an acidic, and organic, crowd pleaser that is perfect to drink while preparing your thanksgiving feast. A welcome cool down in the heat of the kitchen for under $15. Follow Stir and Strain on Delectable too!